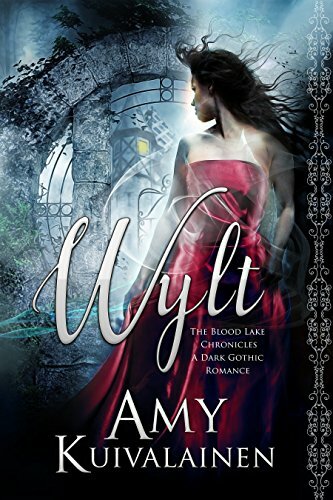 A cross between a modern Jane Eyre and traditional dark fairy tales, Wylt is book one of The Blood Lake Chronicles, a paranormal gothic romance series with a new twist on vampire and fae mythology. Rosa Wylt's plans are cut short when she receives a summons to return to Gwaed Lyn, an ancient mansion in the Lake District, and the center of all her childhood nightmares. The Wylt family has always served the mysterious, wealthy Vanes but Rosa is determined to break free of the bonds that have tied both families together for centuries. Searching through her family's history, she discovers letters of the doomed love affair of a Vane ancestor...one that has an uncanny resemblance to Balthasar, the eldest Vane that she cannot help being drawn to. Balthasar Vane is haunted by a past of violence. As the enforcer for his family and heir to his father's kingdom, there is no room for weakness in any area of his life; that includes his growing feelings for Rosa Wylt. The Vanes are forbidden to touch the Wylts, but Balthasar draws Rosa into a world of dark passion, bloodthirsty immortals, and a war that has been raging with the Seelie Fae for centuries.The Queen of the Seelies want the Vanes to suffer, and for her revenge she will break their world apart. The Blood Lake Chronicles is an unofficial spin off series that features a character, Eldon Blaise, that you meet in The Firebird Fairytales. These series can be read separately.